Elanee's Endeavors ! : A Movie Worth Watching…..& a Giveaway! A Movie Worth Watching…..& a Giveaway! I don't usually post about movies on my blog, but this one is worth sharing about. If you haven't seen it yet, I highly encourage you to see "Beyond the Mask." It's showing in theaters all around the country RIGHT NOW and until June 18th. 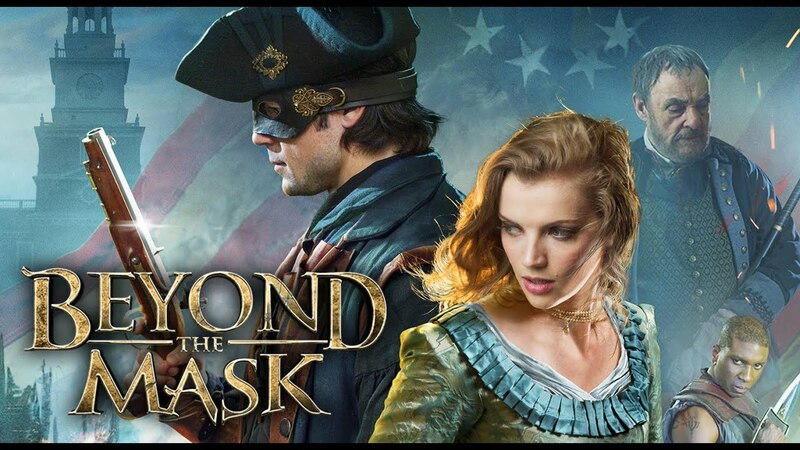 One of the leading Christian films of the year, Beyond the Mask is packed with action, adventure, history, and even a bit of romance. It's sure to be a film your entire family will enjoy. Produced by two homeschool graduates and their families the film is complete with stunning scenes, inviting stories, and a moving message that will challenge your faith. Be sure to go to this link to find the showtimes and theaters near you! Thanks SO much for your comment Sarah! Have you seen the film yet? Awesome possum of a film! My one beef with it was the somewhat edgy romance. A little less conservative than I would have liked. ;0) But otherwise, it was amazing! Elanee I love your new blog header!! Thanks for the heads up! I have never done one of these giveaways before. I think I am entered now . . . I enjoyed the story line very much and it had an amazing message about true repentance! I watched the trailer and looking forward to the movie. It looks like something that both my BF and I would enjoy! I am very excited for watching this movie! :) I haven't seen it yet, but from my friends and family's opinions, they say it's a must see!